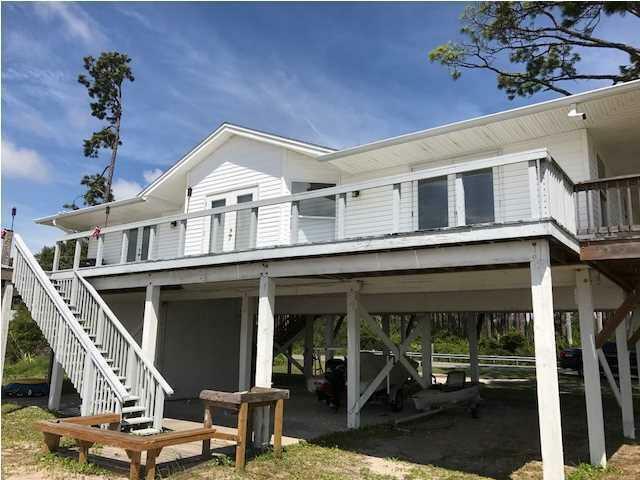 This furnished Bay Front beach home sits on 200' of waterfront with 3 BRs and Loft. 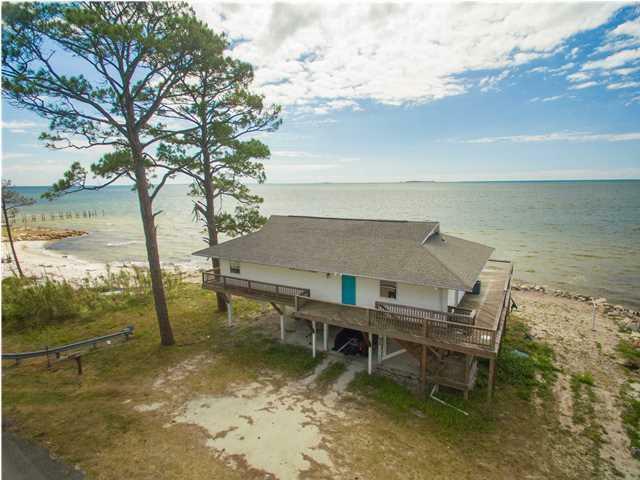 Large windows and french doors offer fabulous views overlooking St. George Island & Dog Island! You can't ask for more beautiful sunrise and sunset views! Imagine waking up to the gorgeous view of the Gulf from the master bedroom!! Easy access for kayaking and fishing! 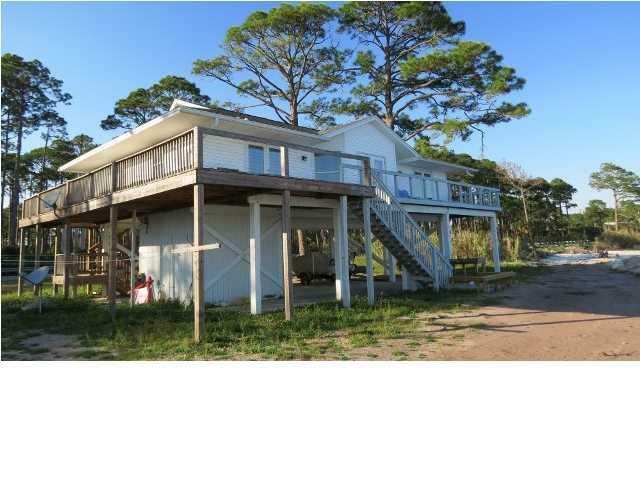 Renovated in 2001 with new plumbing & wiring, tile throughout, and large wrap around deck. Kitchen features wine cooler, large pantry closet, cabinets have pull out drawers. Master Bath has large room/closet. A/C replaced in 2005. Renai water system with reverse osmosis water system. 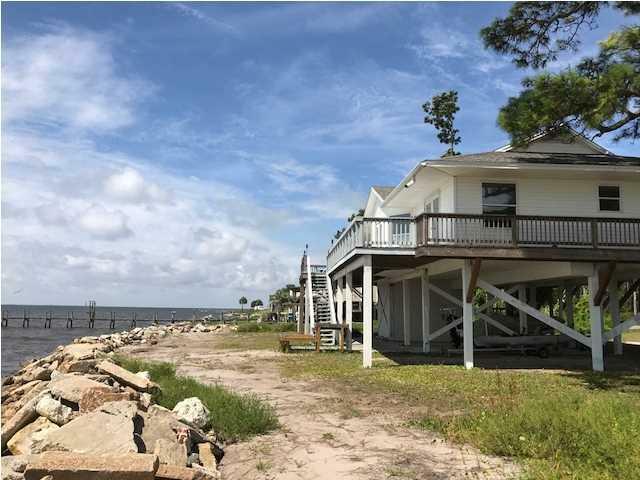 Located close to Carrabelle public beach & St. George Island is nearby! If you're a golfer, St. James Golf Course is also a few minutes away. Seller uses the home a lot so rental income could be higher.